There are three components to this Harvest Salad with Pumpkin Vinaigrette. 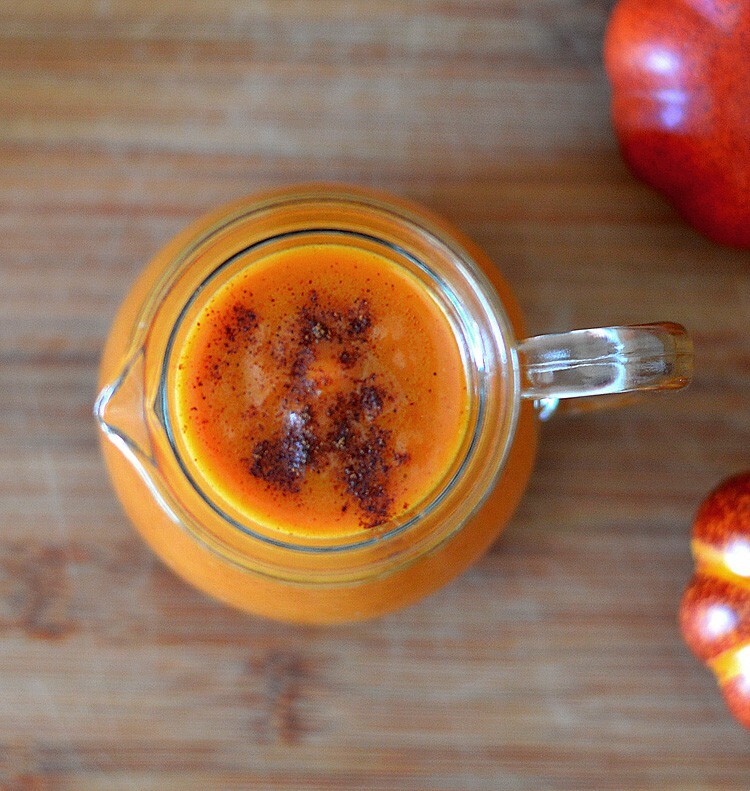 First, we made the Pumpkin Vinaigrette (you can get the recipe here). 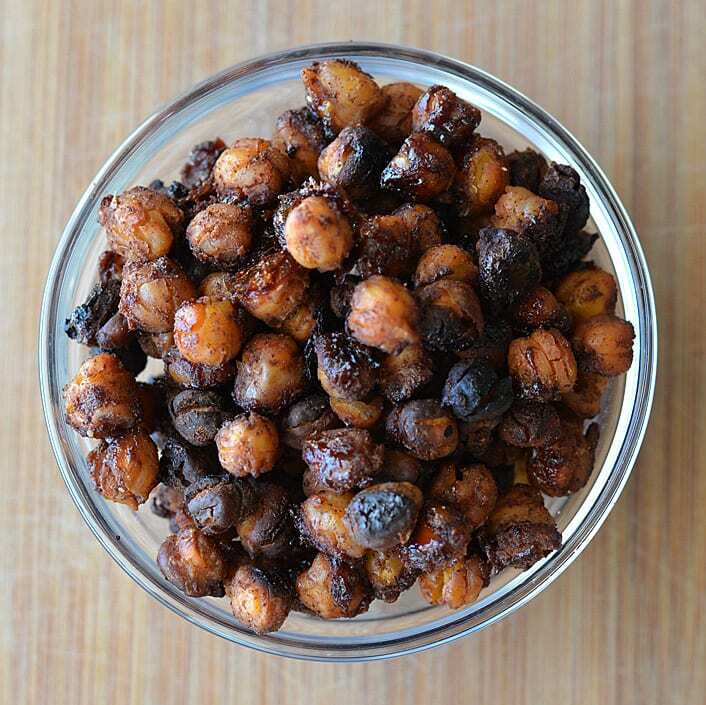 Then came the Spiced Candied Chickpeas. Finally, the chopped Harvest Salad. This dish just speaks fall. 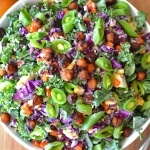 The salad components are kale, red cabbage, carrots, yellow cauliflower and sliced sugar snap peas. We chopped the cabbage and cauliflower in the food processor. Then we hand cut the kale and carrots, slicing the sugar snap peas on the diagonal for added interest. It couldn’t be more simple. 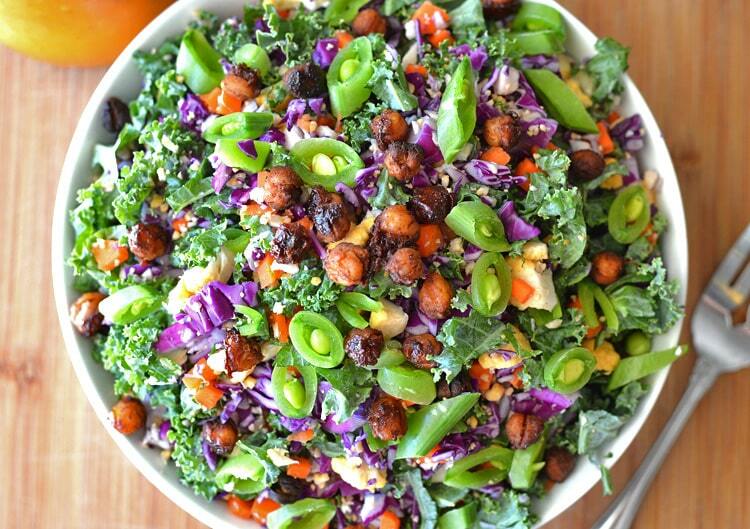 Toss with our Pumpkin Vinaigrette and top with our Spiced Candied Chickpeas. In the bowl of a food processor, place the red cabbage and process until finely shredded. Don't go too far with it. Empty the contents into a large bowl. In the same food processor bowl (wiped clean), add the cauliflower (yellow, if you can find it) and process until the texture of rice. Do not overprocess. Place into the bowl with the cabbage. Finely chop the kale and dice the carrot. 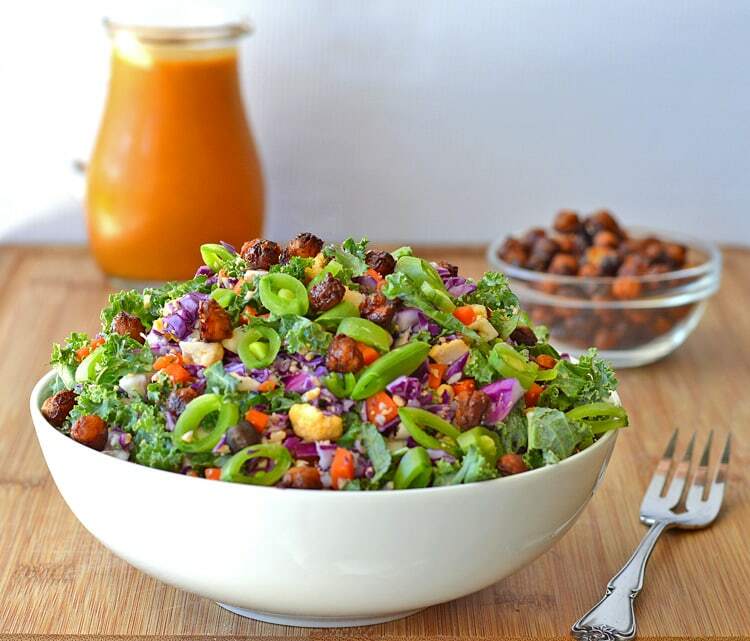 Toss the salad with our Pumpkin Vinaigrette and top with our Spiced Candied Chickpeas. This looks amazing and incredibly healthy. Can’t wait to try it!